About three months ago, I stumbled on to what I thought was a game, because it looked similar to the popular games made by SIMS. I downloaded the game, but was surprised to discover that it is more than a game to many players. 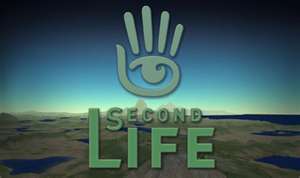 After a month of playing, I learned that Second Life allows each of the individual characters or residents to interact through electronic chatting or voice chat. Each player can interact with those, who are also sharing the same destination that they are visiting. Second Life is more like an amazing experience than a game, since a visitor's imagination can build anything in this virtual world. The players or residents can teleport to many different places, as they interact with the other players. Each virtual destination will allow the resident to interact with new players, who frequent or are visiting the places. In addition, the 3D virtual world allows a person to meet residents from your city or all over the world.